Olivia Westphal is a sophomore and in her first year writing for the Hawk Eye. She joined this class by the recommendation of her friends. She plans on writing great sport articles this year. 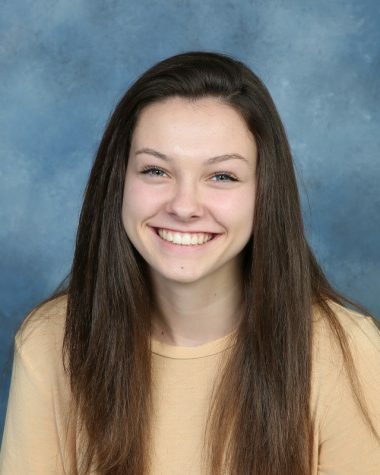 Olivia is a going to be a two year varsity player for the girls basketball team under the coach alumna Jonna Burke.Olivia wants to pursue her basketball career in college. On an ideal date, Olivia would be okay with just "dinner and a movie." If she had one superpower, she would want to be invisible. When asked what would be her dream vacation, without hesitation she said, "Fiji." Make sure you look for her on the court banging three-pointers,or look for her name on some good articles this year.